Hello. 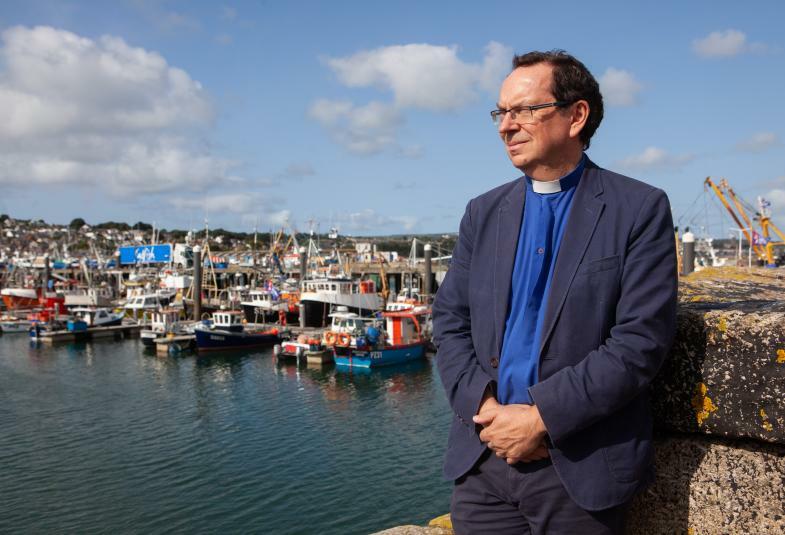 My name is Philip Mounstephen and I’ve been Bishop of Truro since January 2019. Being Bishop of Truro means that I have the responsibility and privilege of leading the Church of England’s churches across Cornwall and the Isles of Scilly (plus two parishes in Devon). I have no doubt that God has called me to that, so I’m very excited about all that he has in store for us in the future. I’m really keen to work as closely as possible with Christians from all the churches of Cornwall, and thank God for every opportunity to do so – that’s why Creation Fest really excites me! I was born into a loving family which was a great gift, so I’ve never found the idea of having a loving father hard to grasp, though I know that some people do. But I still needed to come to a point where I owned my Christian faith for myself, and that happened when I was a student at University. I really had to give up going my own way and give in to God which I did, quite literally, on my knees. That was the key turning point in my life and everything else flows from that. But that coming to Christ didn’t happen in a vacuum: it happened because I belonged to a group of Christian friends who loved me into the Kingdom of God. I will always be so grateful to them for that. It’s left me with a lasting conviction about the power of Christian community which I’ll come back to later. One day in the early eighties I met a beautiful girl at the back of Church – and married her. Ruth’s a very gifted woman in her own right and we have one daughter called Kitty who’s in her mid-twenties and like her mum works in the charity sector. Kitty’s married to James, a civil engineer, who she also met at Church – so it’s become a bit of a family tradition! After a few years as a teacher, I eventually re-trained for Christian ministry in the Church of England. Through that, God has taken me on an exciting journey, leading churches both in London and Paris; working with churches across the UK helping them with youth and children’s ministry; and leading an amazing organisation doing the work of the Kingdom at the margins, beyond the normal reach of church, in many different communities across the world. And finally, he’s brought me here to Cornwall. At heart, I have a real passion to see Christians creating community together – a community that’s shaped by and for the good news of Jesus. I met Jesus myself in such a community, and that’s what I really long for us as the Church in Cornwall: that we might be a place where people meet the living Jesus, find life in him and learn to love him. Please pray for me as I lead our Diocese in that direction. Bishop Philip will be “on the road” with the Diocese of Truro in six locations.